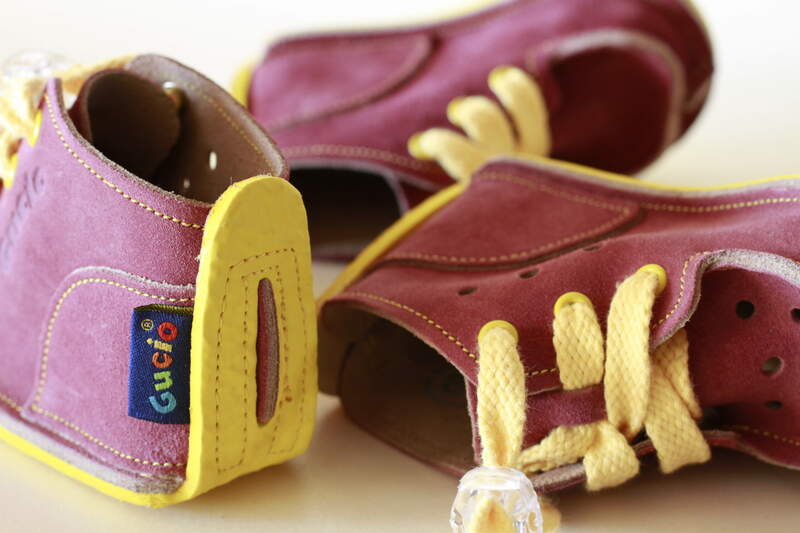 Footwear for children "Gucio" was created as a project in the 90s of the last century and gradually over the years, until now it is constantly developing. The last effect of this is the implemented Axis Bend System called Ergono. 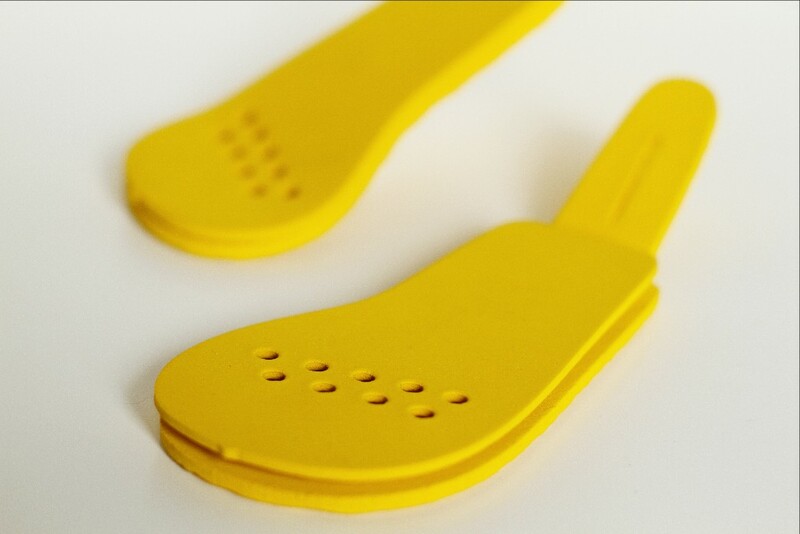 The system uses a perforation made in the footwear to make the axis (easier) bending the bottom, through two (or three in larger sizes) rows of small holes placed on the right axis. The bottom of the footwear is easier to bend just where the holes are. This axis is positioned precisely at an angle perpendicular to the direction of the walking, which forces the correct walk of the child. This technical solution guides the correct angle of the metatarsal phalanges bone and improves proper footing of the child. Children putting their fingers inwards (especially with their first steps), have a gentle gait correction. 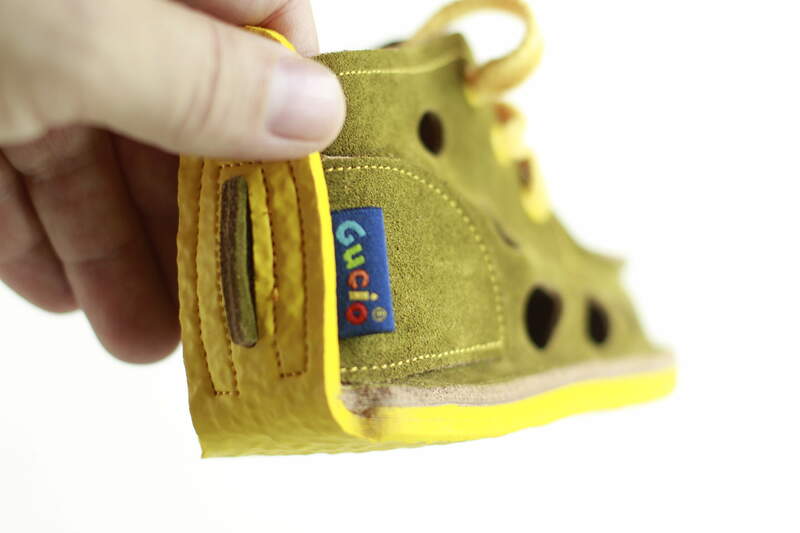 Gucio footwear equipped with the Ergono System to distinguish it is produced in two color options (now heather and olive) and in all versions (full, with a small perforation and with large holes. 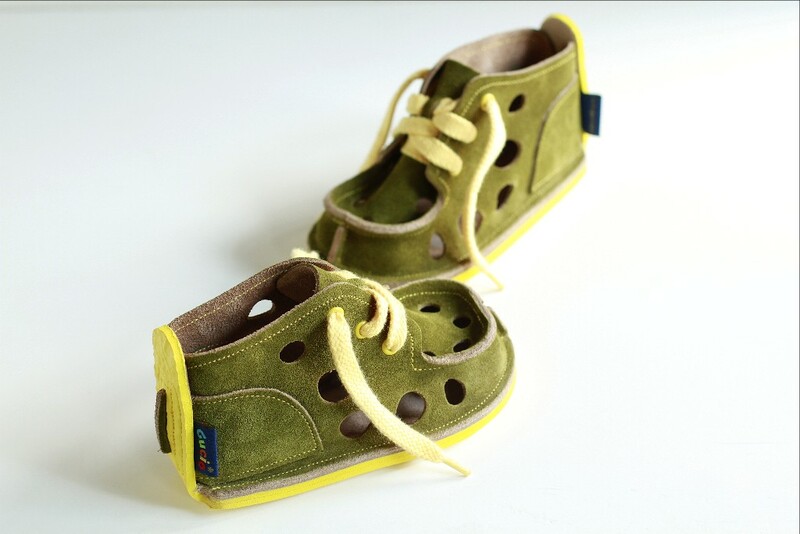 helps the growing feet of a small child to properly set up during the walk, faithfully accompanying them during the first years of life. 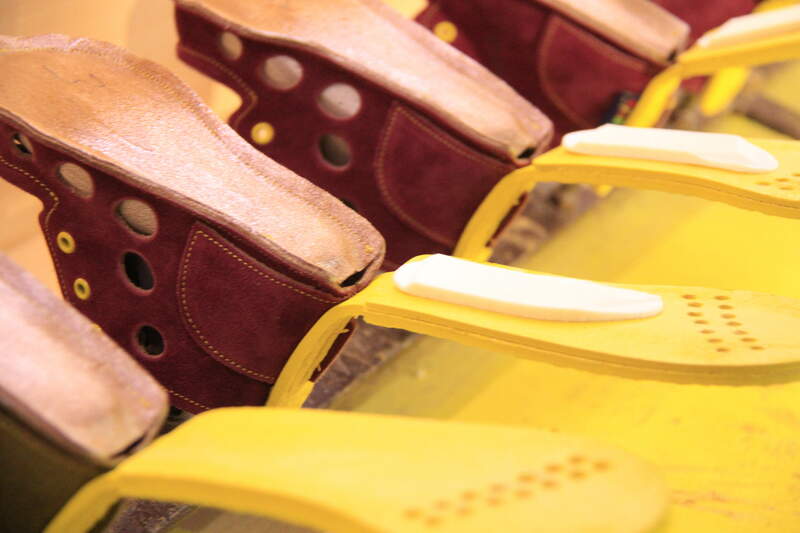 Our Axial Bending System The bottom of the footwear is the subject of the patent and is a legally protected invention.